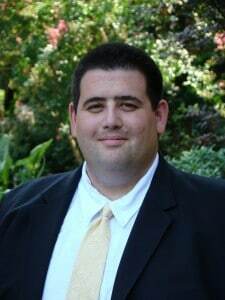 NASHVILLE, Tenn. –– Kevin Jura, state coordinator of the “Strategic National Stockpile” for the state of Maryland, serves as a member of the Strength for Service Board of Directors. The stockpile serves as a repository of antibiotics, vaccines, chemical antidotes, antitoxins and other critical medical equipment and supplies which are available in case of natural disasters, a pandemic, or other emergencies. Jura, based in Baltimore, oversees the stockpile in Maryland, and is able to rush emergency supplies to health authorities in as little as 12 hours. The national operation is managed by the U.S. Centers for Disease Control and Prevention in cooperation with the Department of Homeland Security. Jura is well qualified to serve on the board of directors as he served for 20 years as a first responder (paramedic for the Okaloosa, Fla., Emergency Medical Services and auxiliary lieutenant on the Florida Highway Patrol). In 2000, he served for two years as chief diver for the Santa Rosa County Search and Rescue team and in 2003 he was elected to a two-year term as chairman and chief executive of the District EMS Advisory Council. Prior to his 2011 appointment as coordinator of the national stockpile, he served as accreditation program manager and instructor for the District of Columbia Fire and EMS Department. A public health, public safety and emergency management professional, Jura has also served on the National Staff of the U.S. Coast Guard Auxiliary, Paramedic Captain, Law Enforcement Lieutenant, and as and an EMS educator for Northern Virginia Community College and Calvert County, Md. An Eagle Scout, Jura has been involved in scouting for more than 30 years. He has served at all levels of Scouting. Currently, some of his current positions in Scouting include serving as: an Assistant Council Commissioner for Learning for Life and Exploring; Council Aquatics Chairman; the Exploring Chairman for Area 6 of Northeast Region; and, a key volunteer for the National Order of the Arrow Committee. He is a member of the Church of Jesus Christ of Latter-day Saints and is married to Sarah Anne Jura (née Loving).